No glamorous look or a beautiful name, crab has long been a familiar dish in every family. It is possible to prepare many dishes from fresh water crab, but perhaps, fresh water crab hot pot is always the most affectionate dish by the "simplicity" fully expressed boiling broth in the hot pot, taking diners back to the memory of the quiet countryside with the familiar dishes from mother’s crabs and shrimps. Not only delicious, fresh water crab hot pot also has high nutrition value, high in calcium, protein, fat and iron, very good for the body. Ricefield crab hot pot is considered as "special hot pot", which can be used in four seasons of the year. 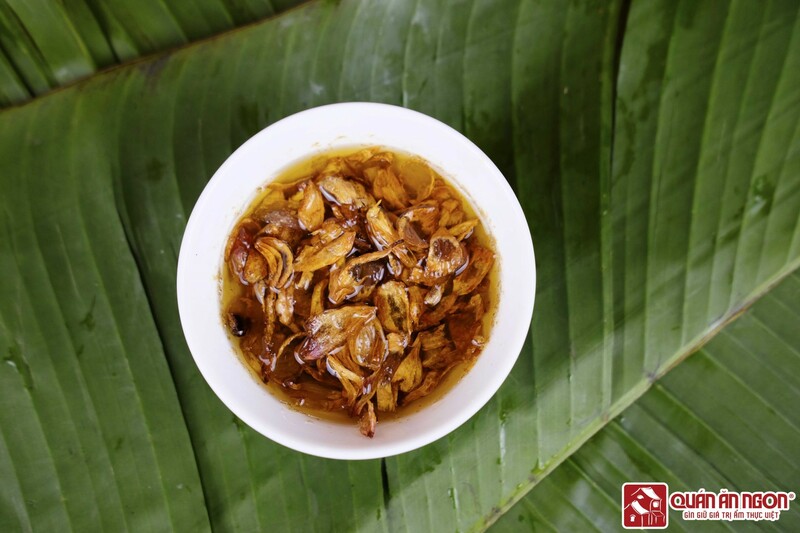 The sweet flavor of the ricefield crab is not only able to dispel the scorching heat of the summer, but also able to warm the heart of customers in winter days of Hanoi, it makes those who taste it remember it for long. Fresh water crab hot pot has no standard on spices, because each region has different ways of enjoying, depending on their taste. 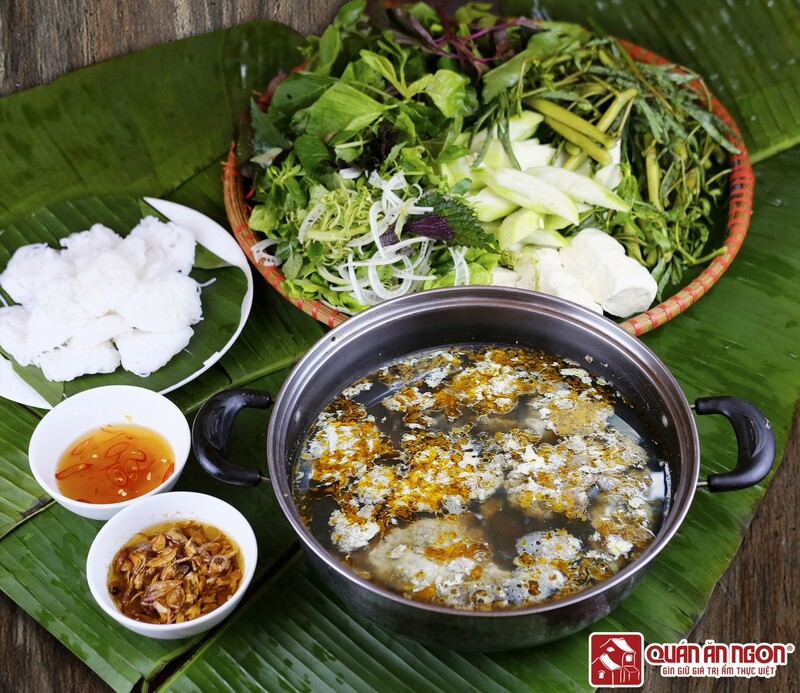 Whoever has tasted the ricefield crab hot pot of Quan An Ngon restaurant will love the "enchanting" taste, the delicious taste of Hanoi that no place can have. Fresh water crab hot pot of Quan An Ngon restaurant conquered diners by the hot pot with yeallow, aromatic broth, with the sweet ricefield crabs, the flavor of spring onion cooked with crab briks. Crab briks are golden, greasy, floating in pieces on the pot. The broth is very special. 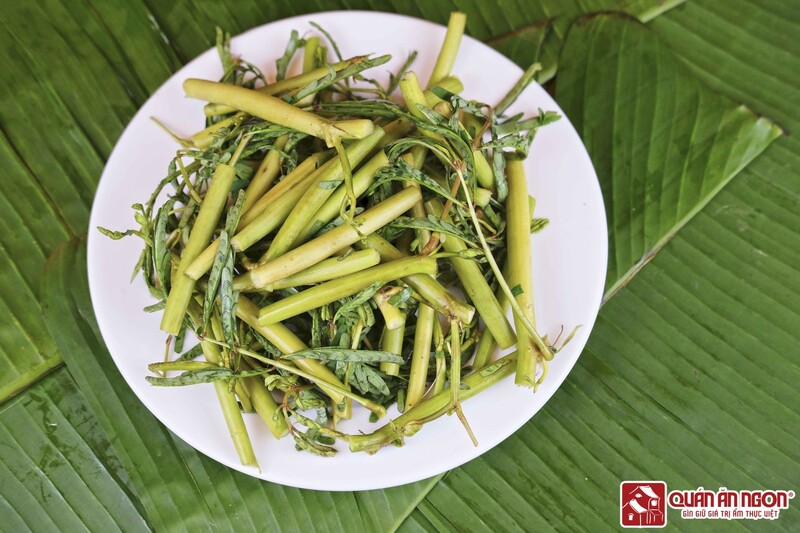 Sweet and sour taste from fresh dracontomelon and baked colocasia gigantea and the sweetness of crabmeat make the taste pure, delicious and unforgettable. Taste the sour hot broth with greasy crab brik, breath in a familiar country flavor with crunchy splited water spinach, amaranthus dipped in hot pot, diners will want to keep eating. 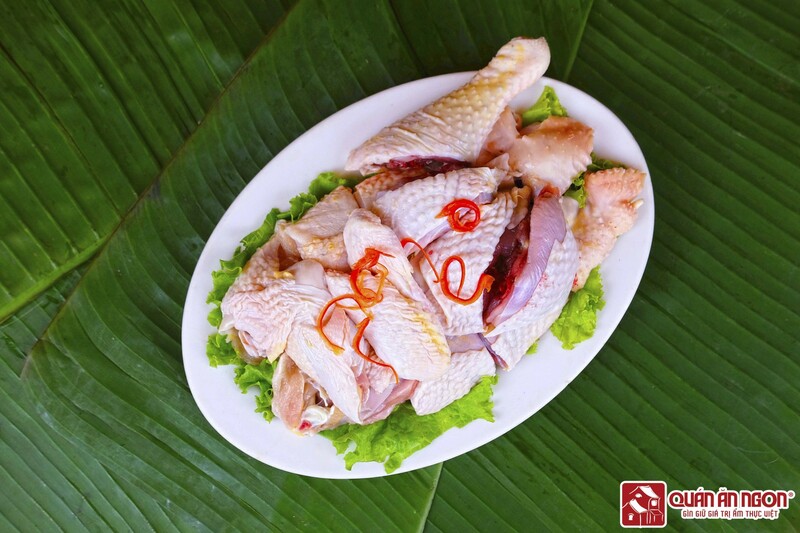 Not many people know that, to have a delicious crab hot pot with the genuine "memorable" taste, the culinary experts and chefs of Quan An Ngon restaurant had spent times to study and meticulously process right from the selection of materials. To get a "properly genuine" crab hot pot, chefs must choose fat female crabs, moving fast for plenty crabmeat and briks. The complicated processing requires meticulousness of the chefs. Fresh water crabs are cleaned, separated by briks and finely chopped, then filtered and stirred into pieces and finally fried in specific recipes. 1 kg of fresh water crab is filtered to only 1 ounce of crab brik, so that the hot pot flavor here is especially delicious without using seasoning. Hot pot broth is also specially made from natural sour fruits like fresh dracontomelon, baked amaranthus, the broth is clear. 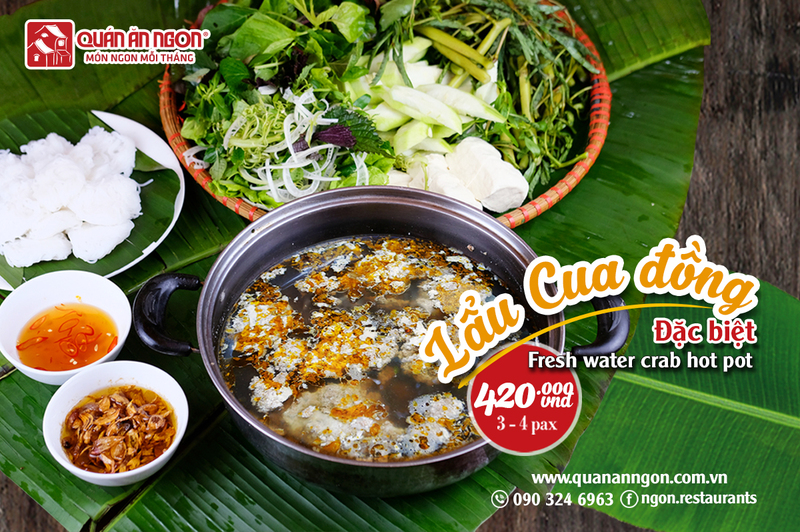 Fresh water crab hot pot at Quan An Ngon restaurant is also very special with attractive side dishes. Take the noodles from the sauce mixed with fried onion, dip a little delicious beef, fat chicken meat, do not forget to add a pinch of green vegetables such as Basellaceae, Amaranthus, Neptunia, water spinach... into the boiling hot pot with yellow crab brỉk, the sweetness of crabs penetrate each piece of meat; it is tasty, dinners cannot help to enjoy it. No longer rustic and simple, now the fresh water crab hot pot has entered luxury restaurants, contributing to enrich the menu of Vietnamese cuisine. The cold rainy days of Hanoi seem to disappear, give way to the laughters when the families, friends gather around the crab hot pot, take a piece of crab brik and tell stories of winter. 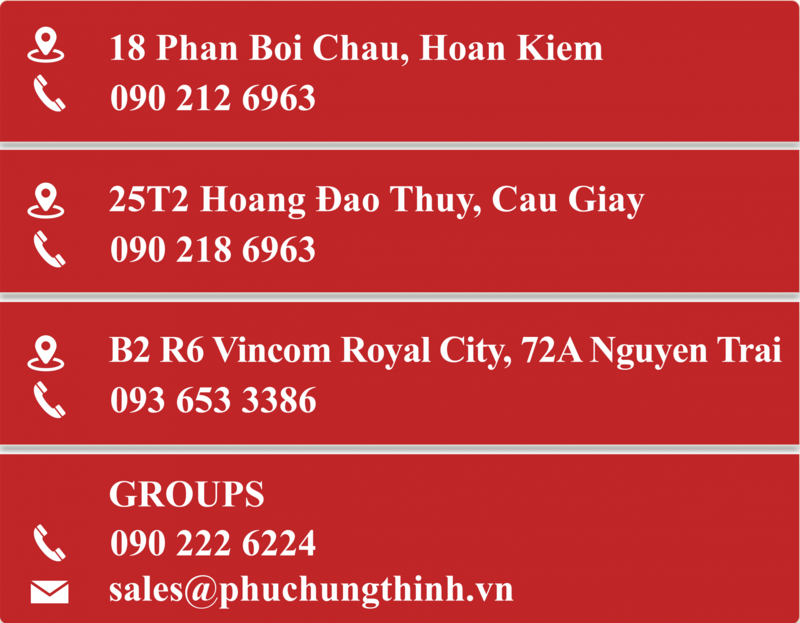 If you are a child of the North living far away from hometown, or simply you want to enjoy the “original” taste of crab hot pot of Hanoi, do not forget to enjoy the fresh water crab hot pot at Quan An Ngon restaurant.